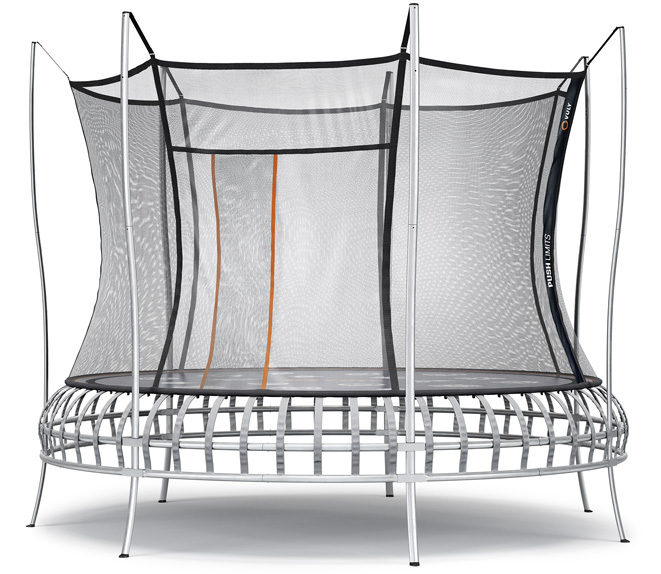 Do you own a Thunder trampoline, purchased from Vuly? You may need a Thunder Update Kit, and we'll send it to you free of charge! 1. Check your Shade Cover box or your mailbox for an Update Kit. Didn't receive one? or watch the instruction video here. Didn't receive an upgrade kit? How did you purcase your Thunder trampoline? report_problem You should have already received a Thunder Update Kit, either in the original packaging or seperately via courier. You must install it onto your trampoline as per the instructions here. If you did not receive this, please Vuly on 1300 667 514 or contact us using this form. report_problem Your Thunder delivery should already include the Update Kit. Simply follow the instructions here. You must install it onto your trampoline as per the instructions above. If you did not receive this, please Vuly on 1300 667 514 or contact us using this form. report_problem Your items may have already included an Upgrade Kit. If they did not, register your purchase with Vuly here to receive your free Update Kit via courier. Once it arrives, you must install it onto your trampoline as per the instructions here. Why do you need an Update Kit? We've made a design alteration to the Thunder trampoline to make its base even longer-lasting and to correct a potential structural weakness. Thunder Update Kit contains a stronger connection system, and makes Thunder 100% secure. Do I need to install the Update Kit? Yes. This update involves removing the push-buttons in the square ends of the Lower Frame Tubes and strengthening the frame. If you do not install the Update Kit, sustained use may compromise the safety of your Thunder and void your warranty. Can I pick up an Update Kit locally? Yes. Vuly has Update Kits stocked with local resellers for quick pickup. View this list here. Alternatively, you can purchase the nuts and bolts that comprise the Update Kit from your local hardware store. Simply call Vuly on 1300 667 514 or contact us using this form for more information.